This is continuation of Spaceship Theology series of articles. We have looked at the setting for this drama; we have studied the premises and now let’s look at the cast of characters, starting with Adam and Eve. Why did the gods create humans? Was it because their own workload was too heavy and they needed help? I will create man who shall inhabit the earth, That the service of the gods may be established, and that their shrines may be built. According to some scholars, Moses borrowed from the Atrahasis Epic, to write his own version of mankind’s relationship to the gods. The toil grievous, the toil excessive. Let man carry the load of the gods. God said, Let us make man in our image. When that was done, the Lord God took the man and put him in the garden of Eden to tend and keep it. — Gen. 2:15-16. Adam ends up looking after the garden, doing the menial work, for The Ones who had created him. Actually, this action, on the part of the gods, is not at all out of line with what engineers are doing today. Genetic engineers are miles ahead of what most of us can imagine in changing life forms. We also have intelligent, thinking machines all around us; robots that do much of our thinking and our work for us. It is just that they are not in human form; yet. The parallels between the stories of Enkidu/Shamhat and Adam/Eve have been long recognized by scholars. In both, a man is created from the soil by a god, and lives in a natural setting amongst the animals. He is introduced to a woman who tempts him. In both stories the man accepts food from the woman, covers his nakedness, and must leave his former realm, unable to return. The presence of a snake that steals a plant of immortality from the hero later in the epic is another point of contact. — From Wikipedia, The Epic of Gilgamesh. However, help with the workload may not have been all that the gods were looking for. Jehovah, at least, enjoyed the fellowship He had with Adam in the Garden of Eden, in the cool of the day. Is it not interesting that the Lord enjoyed walking in the garden in the cool of the day? If He is not physical, how is it that the ambient temperature affected Him? It is easy to imagine that Jehovah wanted this feeling of closeness to continue, but after Adam was guilty of disobeying distinct instructions, that closeness was severely hampered. It is true that throughout the Bible Jehovah still communicated with chosen individuals, but it seems that it was mostly to give laws or instructions and warnings. The close communion for the general public was forever gone, but Enoch walked with God. There will be more about Enoch later. Thanks, again, to the Babylonian scribes, we have the following story from pre Bible times; the Epic of Etana. If this is strictly fiction, the question arises: What gave the writers of pre-Bible times the idea that the earth could be left behind at such a speed? Or, in fact, that the earth could be left behind at all? This place has no air, its depth is unfathomable and it is black as the blackest night. — From: Archaeology and The Old Testament, James B. Pritchard, (Princeton, New Jersey). Who told the Egyptian 3,500 years ago that space is black? From where did they get the idea that there is no air in space? It seems a lot more realistic to assume that ancient, as well as modern, cultures were visited by saucerians. It is not beyond reason to suppose that the astronauts gave them specific information and on occasion even took them out into space. The astronauts of Apollo 11 also said that the moon was desolate with a glasslike soil. It is cold in the shade. If the Chinese did not go there, how did they know these facts 4000 years ago? In the Collection of Old Tales from China, compiled in the fourth century, we find this interesting statement. The Sanskrit from ancient India, recently translated into the language of modern day western readers, dates from about the third to the eighth century CE. However, the ideas presented in those writings are slightly ahead of our times. It is in the Mahabharata that we hear about Bhima who “flew with his vimana (flying machine) on an enormous ray which was as brilliant as the sun and made a noise like the thunder of a storm”. And in the same great ancient Indian epic we also hear about the great warrior Arjuna’s ascent to Indra’s heaven. Importantly, Arjuna is, we are told, a mortal. However, during the telling of his particular adventure we are told of his ascent to heaven in a car that travels upwards to the clouds with a noise like thunder. Whilst travelling to heaven Arjuna apparently also sees flying cars that have crashed and are out of action and other flying cars that are stationary, whilst others fly freely in the air. “These were space vehicles similar to the so-called flying saucers reported throughout the world today. South America is rich in folklore about gods from the skies. The following is a story of Bep Kororoti who mysteriously appeared to the villagers one day. It took some time for the townsfolk to accept him as one of them, for he had with him a weapon which he pointed at a tree and then a stone, and destroyed them both. Finally, though, they did accept him and he married one of the local women and settled down. Things went along quite well until the hero got restless and decided to leave the village. Having gone up to the mountaintop, the story continues, suddenly there was a tremendous crash that shook the whole region and Bep Kororoti vanished into the air, surrounded by fiery clouds, smoke and thunder. –Von Daniken. In Search of Ancient Gods. (Heron and Souvenir Press, New York). This reminds us, again, of the words of Exodus 19:16+18. When God descended on Mount Sinai, there were thunderings and lightnings, and a thick cloud on the mountain…and the whole mountain quaked greatly. The next post will deal more with space travel and how it relates to Enoch! Enoch walked with God; and he was not, for God took him. Gen. 5:24. The phrase, Enoch walked with God brings to mind the statement found in Gen. 3:8. They heard the sound of the Lord God walking in the garden in the cool of the day. It seems that The Lord, Jehovah, was fond of walking on earth, his laboratory, and communing with humans who, in fact, respected him. Enoch was one of those people and the Lord enjoyed walking with him. Then, one day Enoch was no longer to be found on earth for the Lord took him away. We read of him again in the New Testament and find that he was translated that he should not see death. James Strong tells us that the definition for the word, translation, is transportation, i.e. transferal (to Heaven). 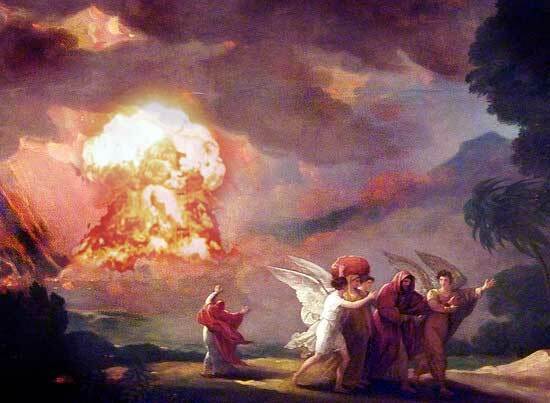 To say that Enoch went to heaven in a UFO is speculation but reading from the Book of Enoch in the Quamran text of the Dead Sea Scrolls causes one to speculate. Eve looked up to heaven and saw a chariot of light travelling there; … the chariot drove up to Adam, and smoke came out from between the wheels. The Book of Enoch is alleged to have been written by the man that walked with God, but it has not been included in our Bible. Is it missing because the early church fathers were afraid of facing the things that Enoch wrote about? Incidentally, that book was included in the early Abyssinian Church Bible. From the Book of Enoch also comes this futuristic idea: Having gone on board a spacecraft, he says, I saw the places of the sun and the moon, from which they set out and to which they return. By using the word they, is Enoch saying that he visited the home planet of the Saucerians? He cannot have been referring to the sun and the moon for they have no place from which they set out or to which they return. It is interesting to think that Enoch may have been among the first, of many humans, to be “space napped – taken away in a spaceship”. The following quotes from the Book of Enoch are pink, the rest of the quotes are blue. 39/3 means chapter and verse, as we use 39:3. 39/3: ‘…a whirlwind carried me off from the earth…’ There are numerous references to whirlwinds which ‘spirited’ Enoch away into the sky. Enoch mentions crystals and wheels. The throne could be a vehicle where the angels sat and underneath were fires from the rocket thrusters. In The Book of Enoch …‘God’ is never mentioned; only plural gods or angels. The main reason Enoch’s Book was deemed heresy and taken out of the Old Testament could have been the accurate astronomy. Page after page concerns the sun, moon, yearly cycles and heavenly statistics. 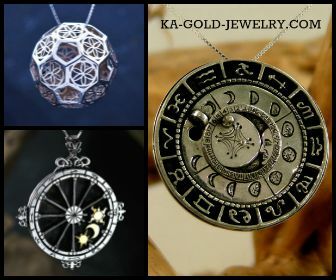 ‘Paths of the sun and moon,’ ‘their stately orbits,’ ‘courses of the luminaries’ and ‘revolve in their circular chariots’ are only a few quotes of Enochian wisdom. 75/8: ‘And I saw in the heaven running in the world, above those portals in which revolve the stars that never set.’ Only from space are there stars that never set. Remember, the Church during the time of Ecumenical editing condemned accurate astronomy. (Ask Galileo). Religious officials wanted the public to think that the Earth was flat, did not move and was in the center of all things. 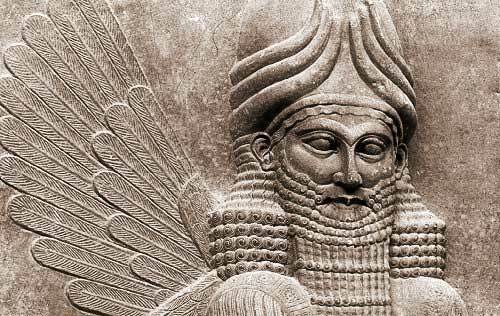 As I report in my book, the Sumerian scribes reveal how many craft were involved in the Annunaki visit and, from the legends, and traditions, of later Middle Eastern peoples, we learn that they were circular and that they were what we would today call ‘flying saucers’. The reason why their true nature has been obscured is because they were given a religious interpretation. In chapter 82, Enoch says, and now my son Methulsalem…I have revealed everything to thee and handed over to thee the books which concern all these things. From: Von Daniken. In Search of Ancient Gods. (Heron and Souvenir Press, New York). It is such a dreadful shame that the church, “in all its holy zeal”, has neglected, or even destroyed, so many of the world’s great writings. One wonders how different theology would be today if religion had not stood in the way of true knowledge. The Bible does not say much about Noah. I think that the most impressive thing that we are told about him is that Noah walked with God. Gen. 6:9. This is the same statement that was made about Enoch: the Astronaut. It is the same picture that the Bible paints of Adam in the garden, before he disobeyed Jehovah the first time. We have always been taught that this means that they had spiritual fellowship with each other. I suppose that was included, yet it seems that the word, walk, implies moving on feet. Just in passing, it can be mentioned that Noah was the great grandson of Enoch and it appears that Enoch taught his children well. In speaking of the flood, and the animals in the ark, Mr. Seagraves states that a sheep is the average size of all mammals on earth. This allows for the variation between polar bears and mice, for example, because, on the average they are about the size of sheep. He also said that 35,000 sheep could have been on one level of Noah’s Ark. There were three levels, but according to him, all the animals were on one level. Those who have studied the Bible story about the ark, agree that the ark was about 75 ft. (25 m) x 450 ft (76 m) for a total of 33,750 square feet of floor space on one level. To put 35,000 sheep into 33,750 square feet, each sheep would have had slightly less than one square foot to stand in. Mr. Seagraves tells us that the animals were adults and that they were in the ark for more than one year. From: Sons of God Return, Kelly L. Segraves (Fleming H Revell, New Jersey) It is not possible that a living adult sheep can be put into a space of only one foot square. According to Mr. Seagraves argument, it sounds as if each animal was stuck in its square foot of space, packed like sardines, unable to move for a whole year. What would Noah have done to get food and water to each animal? Furthermore, there would not have been enough air for them to breath, the heat and the moisture content in the ark would have been unbearable. There are many Bible teachers who hold similar points of view as Mr. Seagraves, Ernst Mayr, gives the number as 17,600. (kinds of animals) Allowing for two of each species on the ark, plus seven of the few so-called “clean” kinds of animals, plus a reasonable increment for known extinct species, it is obvious that not more than, say, 50,000 animals were on the ark” (Morris, 1987). Others have even suggested that each animal was in its own cage. 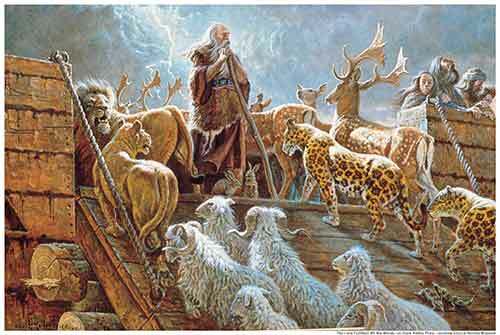 Others have suggested that before the flood came, Noah trained all 35,000 animals to do their “private business” into containers so that Noah and his sons would not have so much work to do while on the ark! I wonder if the people who came up with that idea, were maybe just being facetious. However, they insist that the flood happened only about 4,500 years ago. No self-respecting geologist will agree that the mountains are this young. Many geologists believe that the Rocky Mountain Range is between 80 million to 100 million years old. All of this was just a sidelight to point out the folly of those traditional viewpoints. I have a lot more trouble accepting those wild calculations than I have accepting the story of the flood, as it is found in the Bible; a story, which Mr. Seagraves tell me, I cannot accept, because I believe in UFO’s. It seems as if Biblical accuracy was not important to Mr. Yurchey. He speaks of Noahs and arks in plural; the Bible does not. He also says, Nowhere in the Bible does it mention that Noah went out and gathered each animal. While this is true, the Bible does say, two of every kind will come to you. Gen. 6:20. So Noah did not need to go chasing wild animals. As far as DNA goes, the Bible says, And you shall take for yourself of all food that is eaten, and you shall gather it to yourself; and it shall be food for you and for them. Gen. 6:21. As I understand it, DNA in canisters, does not need food. Thank you, Mr. Noah, for walking with God and for doing what He said you should. Did the all knowing God need to investigate in order to ascertain the truth? He said, after I investigate, I will know. Maybe this “Lord” is a less profoundly, glorious God than we commonly hold Him to be. Still, He is a being of superior development that came from outer space and appeared to Abraham to be a God. It is Jehovah who sent His Son to pay the debt our sins incurred, and because of that, if there were no other reasons, He is the one who deserves our worship. The Lord rained on Sodom and Gomorrah brimstone and fire from the Lord out of heaven. Gen. 19:24, in our scientific day might well have been written like this and the Lord dropped an atomic bomb on these cities. For not only were the people of the city killed but also that which grew on the ground was destroyed. Gen.19:25. When Abraham looked toward all the land of the valley, …the smoke of the land went up like the smoke of the furnace. Gen.19:28 This does create the picture, in the mind, of the smoke of an atomic blast, rising as the smoke of a furnace. With these previous quotations in mind, let us look at a few statements made by Mr. Segraves in Sons of God Return. Why then do advocates of UFOlogy insist on making claims that require reinterpretations of the Bible. He says that there is a great supply of natural gas in the Great Rift valley (where Sodom and Gomorrah used to be) and that the Lord caused an earthquake thereby disturbing the natural gas which ignited with the salt, sulfur, and bitumen to cause complete destruction of these cities. Temporarily, admitting that this sounds like a plausible theory, I ask; who is now reinterpreting the Bible? First, concerning the destruction of these two cities, the Bible says nothing about an earthquake, and secondly, the Bible specifically says, The Lord rained on Sodom and Gomorrah brimstone and fire…out of heaven. Rain does not come out of the ground as a natural gas fire would! Unless, we reinterpret the Bible, which Mr. Segraves accuses us of doing, and unless we force the Bible to say something that is not written there, it is hard to image the fire that fell on Sodom and Gomorrah as coming out of the ground. He is the one who put words into the Bible. the saucerians want to have sole control of atomic energy so as to be one step ahead of humans. or they have long ago (perhaps at Sodom and Gomorrah) learned that it is not the right kind of power to use, and so they are discouraging humans, by their repeated messages, from using it. A modern, literal interpretation of Jacob’s dream in the city of Luz might read like this. Jacob stopped travelling because the sun had set. Having arranged his uncomfortable bedding, he lay down and fell asleep. Half asleep, he saw a ladder, standing on the ground, with its top attached to a spacecraft. In this state of semi-consciousness, he saw the crew of the spaceship preparing for a journey. There were robots climbing up and down the ladder with provisions on their backs. Then Jacob saw the commander of the spaceship standing at the top of the ladder, supervising the loading procedures. The Captain of the spaceship, using his audio amplifying apparatus, said to Jacob: “I am the Lord, the God of Abraham, your father and the God of Isaac. I am the national God of Israel, and here is my promise to you: the nation of Israel will become great and all the earth will be blessed because of what I will do through Israel”. Then Jacob awoke to his full senses, with a start, and said, “Surely the Lord and his spaceship are in this place, and when I fell asleep I didn’t even realize it”. 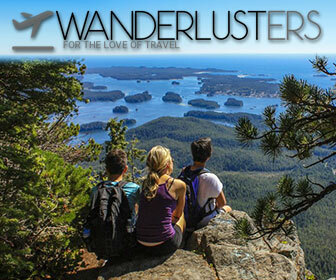 Jacob in his state of bewilderment said, How awesome is this place! 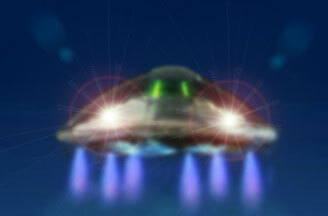 This spaceship is none other than the house of God, and this UFO is the way to get to heaven”. He called the name of that place Bethel, which means, the house of God. We must not imagine that the ladder he saw was almost infinitely long and that it ended up in the mist of the starry heavens, like we, as children, always did. According to Dr. Strong, the word heaven in the Old Testament has two meanings. First, the sky…in which the clouds move, and second, the higher ether where the celestial bodies revolve. With that definition in mind, it seems just as right to imagine that the ladder reached only from earth to a hovering spacecraft. Many years later, on his way back home Jacob spent the night alone to meet with God. He got more than he anticipated. A man wrestled with him until the breaking of the day. Gen. 32:24. It would be easy to dismiss this story and say that Jacob wrestled with another man, if the story did not continue with more facts. Later, the person that had wrestled with Jacob said, you have striven with God and with men and have prevailed. Gen. 32:28. We cannot tell ourselves that the one wrestling with him, in this case, was just a man, because the word used is plural, men. The Lord is saying, before now, you wrestled with men, but now, it will not be the same, for I am not a man. Later, in verse 30, we have these interesting words, So Jacob called the name of the place Peniel, which means the “face of God”, saying, For I have seen God face to face, and yet my life is preserved. It seems as if in these physical encounters the Lord is quite evenly matched with men, because this God, wrestling with Jacob, said, Let me go, for the day is breaking. Jacob replied I will not let you go. 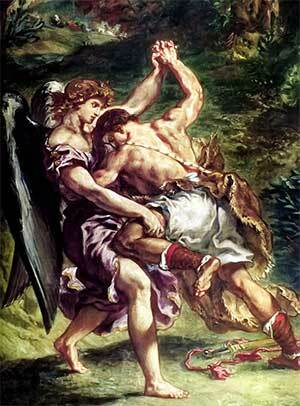 There is no argument from Bible translators that Jacob was wrestling with the Lord. In every case, in this story, where the word, God, is used, it is capitalized. Furthermore, Hosea, writing of this encounter, very plainly said, And in his strength he (Jacob) struggled with God. 12:3. Are we willing to believe what the Bible tells us, or is it more comfortable to hide behind standard theology? From the time the Lord called Moses, to lead the children of Jacob out of Egypt, to the end of his life, Moses communicated with Him. Moses was born to God-fearing parents, and saved from death at the hand of Egypt’s king by Jehovah, the Lord of Israel. God had told Jacob that his offspring would be captives in Israel for four hundred and thirty years. When that time neared its end, it was time for God to prepare a servant, one who would lead Israel to the land of Canaan. Moses had spent forty years in Egypt learning their books and culture. He also learned about the Jews and their captivity. Then, of necessity, he fled to the wilderness and spent forty years there. It was there that he became a shepherd and married. During that time, he became acquainted with the wilderness through which the Israelites would soon be passing; he needed to know it well. From the time that the Jews entered the wilderness, it was another forty years before they could leave it again. It was also in that wilderness that Moses died. The first time that the Lord appeared to Moses he said, I am the God of your father, the God of Abraham, the God of Isaac, and the God of Jacob. Ex. 3:6. It was an official introduction; until then Moses knew only the gods of Egypt. These words, by Jehovah, indicate again, that there is more than one god, but that Jehovah’s special interest is Israel. He did not say, I am the God of the Persians, the Babylonians or the North American Indians. They each have their own gods that look after them. He is saying, You, house of Israel, are my personal project. I made your fathers a promise, and now that I have remembered it again I am going to keep it. In the Bible, it reads this way, God heard their groaning, and God remembered his covenant with Abraham. After Moses had been a shepherd for forty years, the Lord told him to return to Egypt. He told Moses to gather the elders of the Children of Israel and to tell them that the Lord had chosen him to be their leader. Moses objected, saying that he could not speak well enough. Then the Lord, in one of his temperamental moods, became angry with Moses and said that Aaron could speak for him. The anger of the Lord was kindled against Moses. Ex. 4:14. It seems as if Jehovah held a grudge against Moses because of this. We read later that Moses, his wife Zipporah and their son were travelling to Egypt to do the Lord’s will. 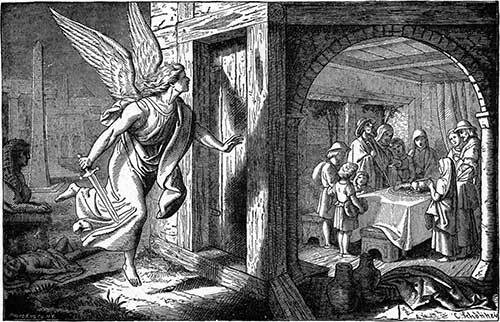 They stopped at an inn for night, and the Lord met him at the inn and sought to kill him. Ex. 4:24 Zipporah quickly circumcised their son and showed the Lord what she had done. By doing this, she reminded the Lord of his promise to Israel and she also reminded Him, that He had better not kill Moses because Moses was the only one qualified to lead Jacob’s children out of Egypt. How is it the Zipporah had time to do a circumcision before Moses was dead? If the Lord wants to kill someone, does he need time? Were Moses and the Lord wrestling to the death? It sounds like it. We read, So he [the Lord] let him (Moses) alone. Ex. 4:24-26. That is, they quit fighting and the Lord did not kill Moses. When Jehovah, the God of the Israelites, wanted his chosen race to leave Egypt, he got together with Moses and Aaron and did things in Egypt that had never happened anywhere else before. There were infestations of lice, frogs, locusts and water turning to blood; all of them were a torture for Egypt. Pharaoh was stubborn, as the Jehovah had warned he would be. He refused to let Israel go to worship the Lord in the wilderness. Then, one day, when the Lord had just had enough of Pharaoh’s stubbornness, He spoke to Moses and said, now is the time of beginnings. Ex. 12:2. A new year is starting and new things are going to happen to you and to my people. I want all of my people to kill one lamb per family, if possible; they are to eat the meat, but above all, they must put blood on the doorposts and on the lintels. Why? Because, it is the Lord’s Passover. Ex, 12:11. That is, the Lord will pass over the houses of the Egyptians and the Jews in a UFO and, with an undefined blood detector, he is going to take readings of all the doorposts. If the Lord’s blood detector does not reveal any blood on the doorposts the Lord will kill the firstborn of that house, whether Egyptian or Israelite. If, in fact, this God of the Jews knows everything, why did he need the technicality of actual blood on the doorposts? Why not just let the Jews exercise faith, a faith that the Egyptians, apparently, did not have. Could the Lord not have based his “killing mission” on the presence or absence of faith? The Lord himself said, it is the LORD’S passover. For I will pass through the land of Egypt this night, and will smite all the firstborn in the land of Egypt, both man and beast; and against all the gods of Egypt I will execute judgment: I am the LORD. Ex. 12:11-12. The word, Passover, seems so expressive of the Lord passing over a nation’s buildings, perhaps, in some kind of flying machine. The morning after that incident, the Hebrews started their forty-year journey. The idea that there is only one God has come to us from the Hebrew’s assertion that they had only one God. The writers did not deny that there were other gods, but they did keep on insisting that they, as a nation, had only one God. In speaking of the plurality of the gods, Moses and the Israelites sang this song. Who is like thee, O Lord, among the gods? Ex. 15:11 It is not surprising that the Jews felt this way about Him, for Jehovah, the God of the Hebrews, had just finished delivering them out of the land of slavery. To reiterate a verse already expressed, the Lord said, On all the Gods of Egypt I will execute judgment. Ex. 12:12. He did not say “on the idols of Egypt” nor did he say, “on the beings worshipped as gods in Egypt”. He said, on all the gods of Egypt, and if they cross His path He will deal with them. He allowed for the fact that there are other Gods than He, but He will not tolerate His followers to pay homage to other gods, regardless of how insignificant they seem! Mr. Dione, in God Drives a Flying Saucer has also expressed the idea that there was a UFO present at the time the children of Israel crossed the Red Sea and throughout their wilderness wanderings. He basis his theory on several statements found in the book of Exodus. The Lord went before them by day in a pillar of cloud to lead them along the way, and by night in a pillar of fire to give them light, that they might travel by day and by night. Ex.13:21. It is no more than logical to assume that this was a pillar of cloud from a UFO by day and a light beaming down from it at night. There is really nothing in this situation, which seems difficult to do with a flying saucer. Some people, who do not accept the Bible as having been written by God, say that these miracles were just natural events. It was the Jews good fortune to be at the right place at the right time to cash in on those natural events. In response many Christians get into a huff and insist that God was there and that he was working the miracles. However, on the other hand, if someone else says “yes, Jehovah was there and He is to be credited for every miracle that He performed from his spaceship.” The same Christians still get into a snit because that idea also does not fit the traditional teaching. There is just no way that anything new can be brought to light because they are afraid that it will upset their God’s nature. Can the God of the Church not defend Himself even against new theories? We also notice in the story of the exodus that when the Egyptians were pursuing the Israelites a pillar of cloud, acting as a smoke screen, came between them and the Egyptians to hide the fleeing Israelites. And the Angel of God, who went before the camp of Israel, moved and went behind them; and the pillar of cloud went from before them and stood behind them. So it came between the camp of the Egyptians and the camp of Israel. Thus it was a cloud and darkness to the one, and it gave light by night to the other, so that the one did not come near the other all that night. Ex. 14:19-20. This would certainly be an effortless thing for an Almighty God to do. It is also a simple task for Jehovah, in a flying saucer, to do. Smoke seems to be a common manifestation in association with UFOs. The association of great winds with spaceships has become almost instinctive. This has happened because of many such reports from Biblical sources by the ancient Hebrews; other ancient writings and from current secular reports. From an ancient Indian epic, conservatively estimated to be five thousand years old, we learn that the flying machines, navigated at great heights with the aid of quicksilver and a great propulsive wind. From: Von Daniken. In Search of Ancient Gods. (Heron and Souvenir Press, New York. 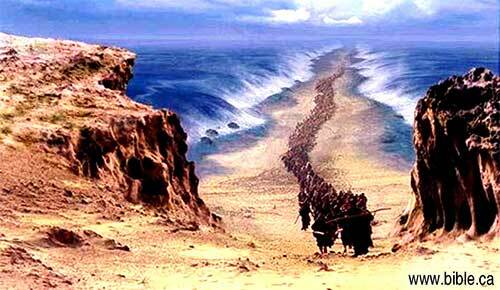 While the Israelites were escaping through the Red Sea, the Lord drove the sea back by a strong east wind. Not only were the waters of the sea rolled back with a strong wind, but the waters were a wall to them on their right hand and on their left. Ex.14:21-22. We must notice that the Bible says that a strong east wind drove the sea back. Actually, the situation is impossible to imagine. First: If the wind were strong enough to develop a tunnel for them to walk through, the Israelites would have been blown off their feet and into the waters of the Red Sea or, maybe, back into Egypt. Second: The Red Sea lies north to south and if the wind came from the East it would not create a tunnel in the water, it would blow a gigantic amount of water on to the Israelites who were waiting to walk on the river bed. It has been proposed that spaceships can operate on the principle of anti-gravity. That is, they can be put into a mode of operation in which the gravitational pull of the earth does not affect the space vehicle. Furthermore, it is also believed that it is possible for a spacecraft to set up its own field of gravity. That field of gravity would be powerful enough to make waters rise from the earth and to make it stand like walls as they did in the Red Sea at the time the Israelites were fleeing from Egypt. Perhaps two, or more, spaceships would be needed to accomplish this feat; some on the right and some on the left, each side pulling the water from the center toward itself. The strong east wind that the Bible mentions could be the by-product of the anti-gravitational pull of the UFO’s. There are several reasons to believe that spaceships have their own source of gravity. The first one is that people, and saucerians, need a central source of gravity to maintain their equilibrium in space. The second is that if a spaceship is to travel at “just below the speed of light” when it is close to a mass with gravity (the earth, for example), the UFO must have the characteristics of being totally weightless. This can be accomplished be neutralizing the external gravity’s effect on the spaceship. Lest we think that spaceships would not have the gravitational pull to lift the waters of the Red Sea from earth, because the gravitational pull of the earth would greatly over ride the UFO’s gravitational pull, let us consider the moon’s gravitational pull. 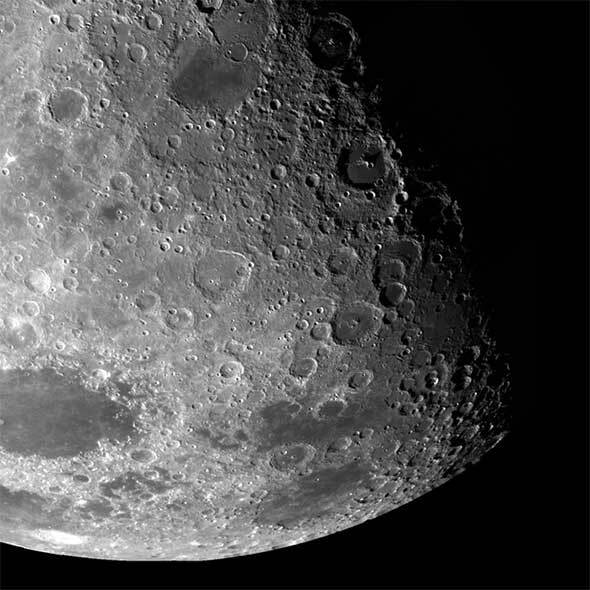 The moon is about two hundred thirty eight thousand miles from the center of the earth, its diameter is just over two thousand miles and its mass is only one forty ninth that of the mass of the earth. Yet, the waters of the earth, and the earth itself, are affected by the gravitational pull of the moon. That, being true, it is easy to believe that spaceships could exert gravitational pull that could be used to make the waters of the Red Sea stand up, as walls, on either side of the fleeing Israelites. 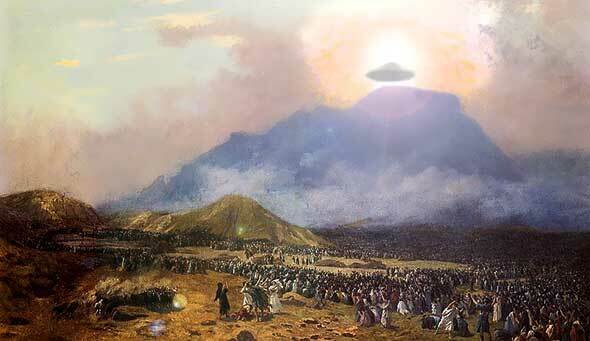 The “Red Sea” experience is by no means the last time the Lord has helped the nation of Israel by using UFOs. Following is a quote from the Midnight/Globe, Oct.11,1977. Many unusual incidents occurred during the six day war. UFO’s were seen over the battlefield and both the Israeli’s and our government (the USA) have reports that Israeli troops were saved by miracles. Later, the same author, Mr. Barry, continued with these words “Many UFOs seen on radar fly as fast as 33,000 miles an hour. Why does an Almighty God need clouds, smoke and fire? We know, from the Biblical text, that, if He chooses to, he can provide clear evidence of himself to those with whom he wants to commune? Yet, we read that when the Lord wanted to talk to Moses, Mount Sinai was wrapped in smoke, because the Lord descended upon it in fire…and the whole mountain quaked greatly. Ex.19:18. This whole scene speaks of a spacecraft landing on a mountain? At the time that the spacecraft was landing on Mount Sinai, it was dangerous to touch the mountain. The Bible says, Take heed that you do not go up into the mountain or touch the border of it; whoever touches the mountain shall be put to death; no hand shall touch him, but he shall be stoned or shot; whether beast or man, he shall not live. Ex. 19:12-13. This surely cannot be just a matter of emotions with the Lord, for if it was, why should he be upset with the animals that might touch the mountain? If it was just a matter of emotions; or if the Lord made another “rule’ just for the fun of it, would it not lower our respect and awe of Jehovah, the God of Israel? I suggest that Jehovah had a very practical reason for implanting this rule. At the time He was descending in his spacecraft, the low output nuclear reactors which provide the back thrust for a soft landing, were turned on and any person or animal in its vicinity would be contaminated by nuclear radiation. So the Lord warned them in advance, saying that if any person or beast was in that vicinity at that time, that person or animal must be killed; no hand shall touch him, but he shall be stoned or shot; whether beast or man, he shall not live. They were to make sure not to touch anyone that was thus defiled by nuclear radiation. They would know when the Lord had shut off the reactors because He would sound the trumpet one long blast. Ex.19:13. After that trumpet blast, the people would know that it was safe to enter the area. The idea that the Lord uses a loudspeaker to talk to humans was mentioned concerning the vision which Jacob had when he saw the Lord standing at the top of the ladder. Again, on Mount Sinai the Lord speaks to a human with a loud voice. Moses heard the amplified voice of God. It is not surprising that Moses would call a loudspeaker a trumpet. Even, in our own time, some loudspeakers are called horns and their shape greatly resembles trumpets. While posting my studies of the book of The Revelation, I noted in my blog that John writes that he heard a trumpet, but he informs us that he heard the trumpet speaking (not making musical notes). If the thought, expressed by John’s words, were transferred to the incident here on Mount Sinai, it is easy to believe that Moses also heard an electrically amplified sound – the voice of the Lord. Then Moses went up, also Aaron, Nadab, and Abihu, and seventy of the elders of Israel, and they saw the God of Israel. Ex. 24:9. With clear, not possible to misunderstand words, the Bible tells us that Moses, three of his sidekicks, and 70 other leaders, saw the God of Israel! Where did those people who insist that the Bible is perfect, ever get the idea that Jehovah can never be seen. There are many events recorded in the Bible that tell of certain humans that have seen Jehovah. Saint Paul calls Jehovah invisible. 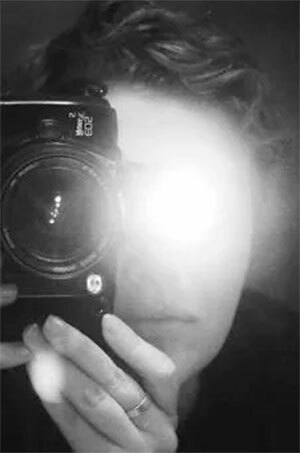 He (Christ) is the image of the invisible God. Col. 1:15. I take that to mean that Jehovah is not visible to humans except on those rare occasions when He wants to appear to them in His physical, humanoid, the way He is, persona. There are a few other instances, in the Bible, where Jehovah is spoken of as being invisible. Note this one: No one has ever seen God. The only Son, who is truly God and is closest to the Father, has shown us what God is like. John 1:18. This statement is diametrically opposed to statements made by Moses, Daniel, Ezekiel, Isaiah, and later on even by John, the same person who wrote these words. In The Revelation He wrote, Then the voice that had spoken to me at first and that sounded like a trumpet said, “Come up here! I will show you what must happen next.” Right then the Spirit took control of me, and there in heaven I saw a throne and someone sitting on it. The one who was sitting there sparkled like precious stones of jasper and carnelian. Rev. 4:2-3 The Contemporary English Version. Could it be that he changed his mind about his statement in the Gospel after he had experienced The Revelation? The theory that “the Ark of the Covenant” was a large condenser, to store electricity, has become an interesting debate with its various forms of contention. Mr. Von Daniken in Chariots of the Gods suggests that the Ark of the Covenant was an electronic condenser, which, if charged up, was capable of producing several hundred volts of electricity. He points out that the wooden part of the ark was the dielectric. The golden plate covering the inside was one pole (the positive) of the condenser and the golden plate on the outside was the other pole (the negative). In that way, an electrical charge could be set up in the Ark of the Covenant. He also suggested that the Lord could induce the electric charge into the Ark of the Covenant from the spaceship. Mr. Wilson, rejecting this theory, says, The conditions of the condenser were not fulfilled and could at most lead to a short circuit. There is no insulating dielectric-such as a piece of wood- that could have made this one piece of metal into two. From: Gods in Chariot and other fantasies, Wilson. Did Dr. Wilson not read in the Bible, They shall make an ark of acacia wood; …and you shall overlay it with pure gold, within and without shall you overlay it. Ex. 25:11. A simple reading of Exodus 25 tells us that the Ark was made of wood with a plate of gold inside and a plate of gold on the outside. It seems clear that the wood could have served as the all-important dielectric. Dr. Wilson continues, Even if Von Daniken’s hypothetical condenser were possible, it would still need to be charged. There is certainly no indication that Moses or the priests plugged it into any nearby source of electrical power! From: Gods in Chariot and other fantasies, Wilson. What a superfluous line of reasoning! If they had had any place to plug the Ark into, they would not have needed it. According to Von Daniken’s theory, the Ark itself was to be the source of power for them to commune with God. Dr. Wilson, talking to an electronics technician received the following information. The amount of voltage produced by such a condenser would register at something like 10 to the minus 6 – only one millionth part of a volt. It would be quite impossible to use it to send out the volume of noise required to communicate with a space ship…The voltage level would be much to low. From: Gods in Chariot and other fantasies, Wilson. It seems unfortunate that Dr. Wilson’s friend, the electronics technician, does not know how little energy is required to send messages through space. The distances that we are speaking of here would probably not be more than a few hundred miles (perhaps much less). 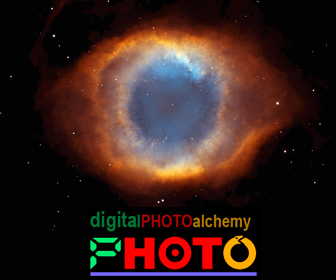 Yet, when…the first photos were radioed back to earth from Mars the strength was 0.000,000,000,000,000,01 watt. 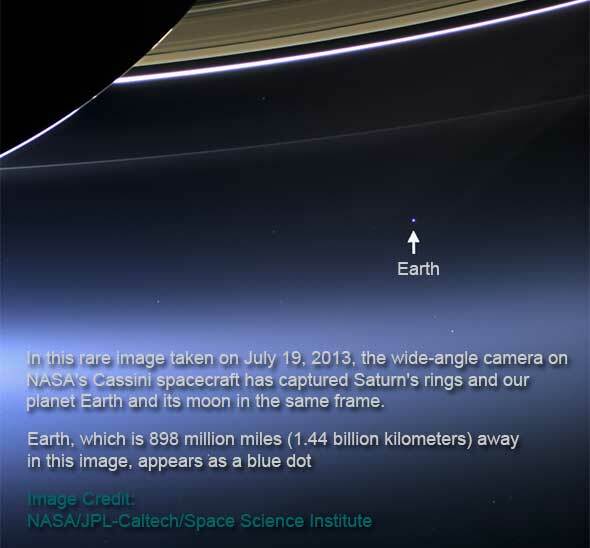 This seems to be infinitely less than the number Dr. Wilson was speaking of (0.000,000,1) and the distance that the photos traveled was 35 million miles. It seems obvious, if the Ark of the Covenant were a condenser, capable of producing 0.000,000,1 volts, it would have been more than adequate for the purpose. Many years after the Ark of the Covenant had been built, King David had it moved on an ox cart to its new location. On the way, it seemed as if it was going to topple off the cart, and Uzzah, trying to make sure it would not fall, grabbed it and died, as a reward, for his concern. The death of Uzzah was an historical fact. To the scribes of Jewish history, who knew nothing of the characteristics of electrical power, it seemed right to say, and the anger of the Lord was kindled against Uzzah. The historians put it this way, and God smote him there because he put forth his hand to the ark; and he died there beside the ark of God. 2 Sam. 6:7. We remind ourselves that the writers of the Old Testament recorded the history of the Jew’s as it appeared to them. Looking at this incident in the light of modern scientific wonders it is easy to believe that the ark was a charged condenser and that Uzzah carelessly, in his haste, touched the inside plate. In doing this, he shorted the condenser to the ground, where he was standing, and so he was electrocuted. So, the debaters press their opinions using ‘facts’ that suit their arguments, but they are not necessarily pursuing the truth. This statement is borne out by several important distinctions. Mr. Von Daniken says that the ark could produce up to several hundred volts of electricity, whereas Dr. Wilson says that at best it could only produce one-millionth part of a volt. There is a staggering difference in those two numbers. Moreover, how can we follow Dr. Wilson’s line of reasoning? First, he says that it could at most lead to a short circuit, then he admits that it might produce up to .000,000,1 volt. His two facts are incongruous! 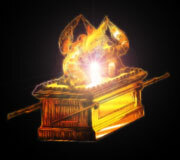 There is another facet concerning the Ark of the Covenant used to commune with God, the cherubim above the Ark of the Covenant. The Bible says, from between the two cherubims that are upon the ark of the testimony, I will speak with you. Ex.25:22. Mr. Von Daniken suggests that the wings of the cherubim might have been loudspeakers and microphones. Mr. Wilson rejects this idea, mostly on the basis that God does not need a loud speaker or a microphone to talk with His people. While one must admit that Von Daniken’s theory leaves a lot of holes and unanswered questions, one must also insist that Mr. Wilson’s objections are ill founded and that he uses his concluding point as his main argument. That is, Mr. Wilson does not think that God would use electronics to communicate with people and therefore we must conclude that God has never done so. This is, simply, an unacceptable way of debating. Both microphones and loudspeakers need magnets to make them work, and the magnets need to be influenced by electrical impulses. Von Daniken’s argument is that is why the Cherubim were placed on top of the Ark of the Covenant, which was a source of electricity. Mr. Wilson’s second reason for rejecting this theory is that the Greeks did not discover the lodestone, the bases of magnetism, until a few hundred years after Moses’ death. However, the fact that the Greeks did not discover the lodestone, until after the death of Moses, does not prove that God could not have revealed the source and use to Moses and his engineers before the Greeks found it. The question could be raised, “why should these be cherubim? Why were they not simply a loudspeaker and a microphone, as we know them? 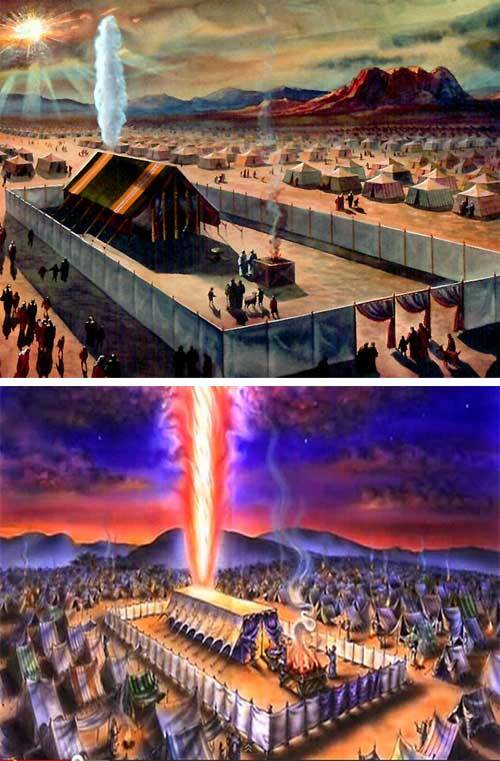 We must remember that the Ark of the Covenant was found in the most holy place in the Jewish tabernacle. This was by far the most sacred place for all Jews. Cherubim, with golden wings, would certainly remind them of the presence of the angel of God. It would be a much more suitable reminder of “The Holy” than regular loudspeakers would. Perhaps a twofold purpose was accomplished with the use of the cherubim. One: aesthetic value, and second: a practical value, a way to communicate with God. THE CAST: Moses, with a Cell Phone? On the theme of communicating electronically with God it has been suggested that the Urim and Thummin, Ex. 28:30, worn in the breastplate of the Jewish high priest, were in fact two “transistorized” circuit boards, one a receiver and the other a sender. 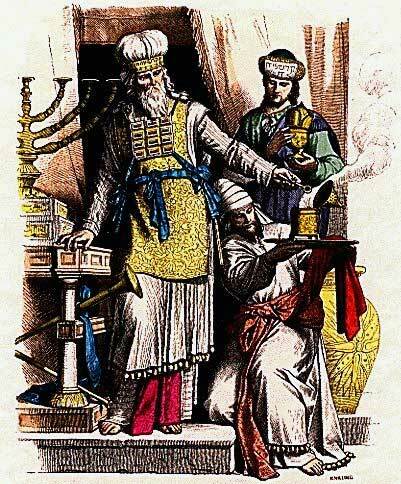 According to this theory, the high priest would have had continual access to the Lord, the God of Israel. Of course, as expected, this suggestion has been argued against on the basis that God does not need electronics to commune with his people. The argument that God does not need electronics to communicate with us is invalid. We might as well argue that Jehovah does not use the printed word to communicate with us. How many in the church are willing to accept that theory? The theory that Jehovah used electronics to communicate with the leaders of His chosen race gains some support from Mr. Unger’s Bible dictionary; the Urim and Thummin…formed the medium through which the high priest was enabled to ascertain the will of Jehovah in regard to any important matters. How can we say, then, that the Urim and Thummin are not the way the Lord chose to communicate with his people? Does a two-way communication system, worn by the high priest, for the guidance of God’s chosen people not seem logical? Much more logical, in fact, than it does to believe that the Urim and Thummin were twelve cold stones used for Divine guidance! Stones that were found who knows where and who knows by whom. Dr. Wilson concludes this topic by saying; Von Daniken’s hypothesis simply does not stand serious investigation. I find, though, that Dr. Wilson’s conclusions are ill founded and at places contradict the Bible, which he insists is his main source of information. Moses was told to engrave the names of Jacob’s twelve children, six on each stone. Is it not interesting that simple, modern telephones have 12 push buttons and each button has some “engraving” on it; letters with which to spell the names of people! Moses was the man that talked with God and made it possible for the religious leaders of his nation to talk to God. Moses was the man who heard God say, I have started you on the way to the Promised Land, do as I have said, in my commandments, and all will go well with you. I must leave you now, temporarily, for I have other things to attend too. Until I come back, I send an angel before you, to guard you on the way and to bring you to the place which I have prepared. Give heed to him and hearken to his voice, do not rebel against him, for he will not pardon your transgression; for my name is in him. Ex. 23:20-21 A modern way of saying this might be, I am sending my robot ahead of you to guide you in the right path and to bring you into the land I promised to your fathers. Be careful to do what he says; do not make him angry, for a robot does not understand error and, consequently, cannot forgive your sins as I, the Lord can. Remember, I have programmed him. No! An omnipresent God would not need electronics to commune with his people. He would not need a spacecraft to be present everywhere at the same time. Yet, some of the Bible incidents that we have looked at clearly show that Jehovah is not everywhere at the same time. For example, if He were, He would not have needed to walk from Abraham’s tent to Sodom to see what was going on! If he were omniscient, He would not need to ask questions because He does not know the answers. He asked Cain, Where is Abel your brother? What have you done? Gen. 4:9-10. He would not regret His decisions of the past, The Lord was sorry that He had made man on the earth, and He was grieved in His heart. Gen. 6:6. 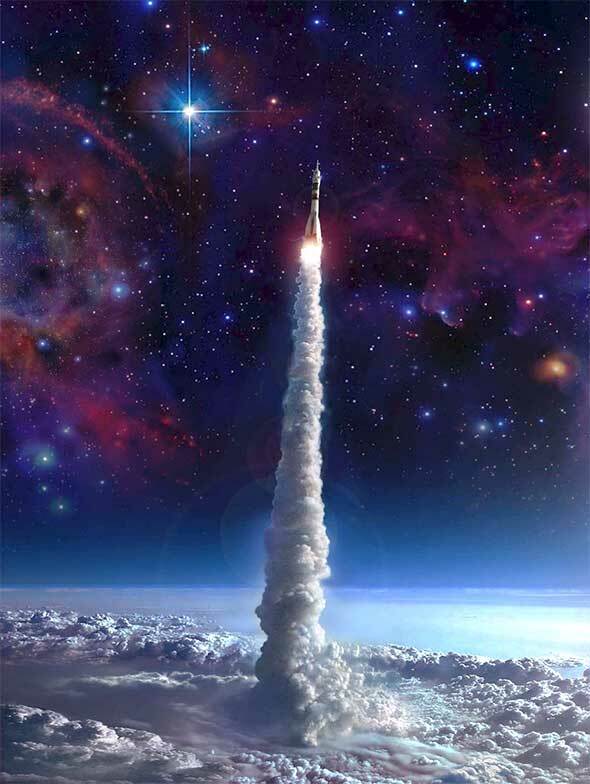 Is it impossible for us to conceive of the idea that the Lord of the Israelites is an astronaut? Can we not also believe that He is not the only “such” god in the universe, or, for that matter, not the only “such” god in this world? I am inclined to believe that there are other super human beings, (astronauts), whom, if we knew them as Moses knew Jehovah, we might be eager to call Gods. There are many ancient stories, which tell of the use of sound waves for accomplishing great feats. If one was to accept these stories as fact, it is easy to see how the saucerians could assist their appointed nations with the use of sound waves. 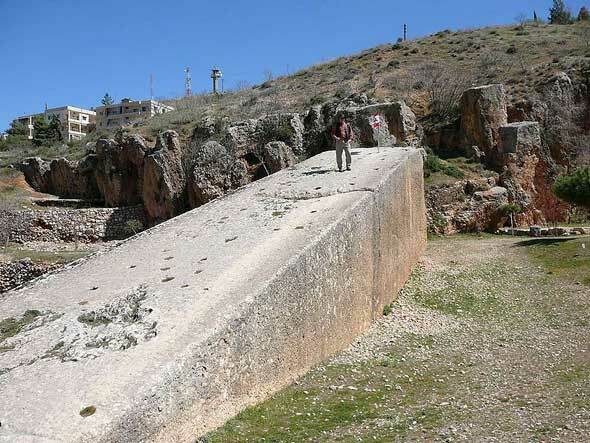 There are stories, which tell of the use of sound waves to lift huge rocks, rocks, including “Baalbek”. Writes one author; there is not a crane in the world today that could raise this monolith from the quarry. Did the ancients know something that we have lost? If this were just a fairy tale from one culture, it would be easy to dismiss. Other peoples have similar stories. For example, the Islands of Nan Madol and the South Sea Islands, where one finds the statues of Easter Island. From modern India comes the story of a rock, which will rise from the ground if eleven people stand around it, touching it with their fingertips and all the while chanting, very clearly, Qamar Ali Dervish. From: Andrew Thomas in, We Are Not The First It is reported that this demonstration is happening about six times a day, every day, and that tourists are invited to join in. In the Old Testament, we read, As soon as the people heard the sound of the trumpet, the people raised a great shout, and the wall fell down flat. Joshua 6:20. To attribute the destruction of the walls of Jericho to sound waves is not to take any glory from the Lord’s power. 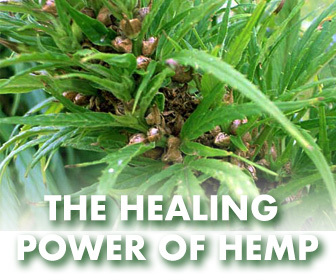 It is merely a suggestion as to how the Lord could have worked the miracle. It has been suggested that there was an earthquake at Jericho at the same time and that is the reason the walls fell down; and that the Israelites were simply at the right place at the right time. If that theory is true, why did the people need to shout and why did the priests need to blow on the trumpets? If, we answer, the shouting of the people and the blowing of the trumpets were a sign of the faith of the people, we are forced to ask again, why does an all-knowing God need to see signs of faith? Surely, He would know whether the faith was present without an audible representation of it. The suggestion made here is that the priests were blowing their death trumpets, which caused the walls to shatter. The shout of the people was a shout of joy because they had succeeded in gaining entrance into the city. In my research into all things unexplained, I’ve come across numerous ancient (and one modern) accounts of large stones moved with sound. the walls of Jericho come a’tumblin down to the sound of trumpets. There is a papyrus…from ancient Egypt describing the pyramids being built by “priests who struck the stone with their staff and played a trumpet moving the stones into place as if by magic”, various retellings of merlin erecting stonehenge center around this theme as well. And there is a modern account by the british royal scientific society … observing priests in Tibet around the 1940’s standing in a semi circle around a 5 ton stone with an array of musical instruments and chanting causing the stone to lift off the ground and place it’s self into a retaining wall being built. I believe the stone also had a circular depression at the top filled with water. And certain sensitive microchips are assembled suspended in air by a certain frequency so as to avoid damaging the goods through improper handling. At the right amplitude and frequency, sound waves can do some awsome things. Like shatter objects of varying materials. Induce magnetic properties into certian metals. Resonance….shoot something that has its own resonant frequency with an identical or harmonic wave with enough amplitude and you can resonate that object till it either falls apart or begins to move due to vibration at the resonant frequency. As far as the ancinets (ancients) using sound, they understood the basic principle of wave guide techniques in allowing them to build amplitheatres (amphitheaters) where the voices of the actors/singers on stage would be amplified by the structure itself so that the crowd in the entire seating area would hear just fine. 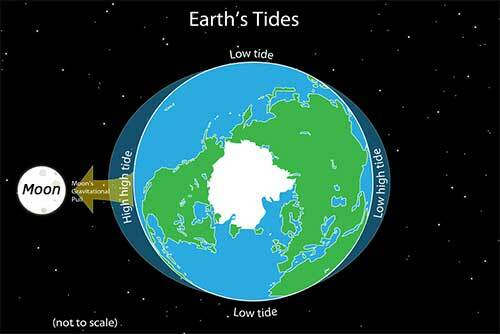 The east wind makes since because the sea floor would have to dry up fast to allow walking on it or cold enough to freeze the water. But the bible dose not mention a cold wind or ice, I have read some ware that the walls of water looked like ice, I do not know if that is fact. Thank you Richard for taking the time to write a note. The idea that the walls of water were ice is totally preposterous, and I had never heard of that idea till now. 1. First of all, even if the walls of water were ice, that does not explain how they got to be walls of water. 2. The Israelites left Egypt in April. It is totally impossible to imagine the Red Sea area freezing that hard (or at all – the Red Sea is salt water) in April. The latitude of the Red Sea is comparable to the latitude of Mexico City. 3. The Israelites did not have parkas or toques. They would not have survived the ambient cold for such a long march. Thanks again for your interesting note. I believe many references are available in the arayan indian vedas and many other ancient books and celtic traditions. The mainframe religions of the modern has suppressed this knowledge. May we learn more from the great scholars and understand that we are not alone and that present religion doctorines may have been misinterpreted. V.j. : Thank you for your note. I have spent many hours studying doctrines from the “churches” point of view and I have come to the conclusion that, for the most part, they have completely missed the boat. Admittedly, they can back up many of their doctrines with the Bible, from their point of view, but they refuse to look at any other facts, which are also found in the Bible. The opposite approach is the path I have taken in my posts here. After many years of studying these topics I have come to the conclusion that Von Daniken’s theories are easier to accept than those of many Bible teachers or other scientists who try to debunk Von Daniken. Some of the arguments the Bible teachers use and the way they twist what the Bible says just pressures a person to leave Bible study altogether. The link you sent is not at all convincing. For example, how did the ancients cut all five sides of a stone out of a rock without removing at least one of the sides beside the stone? Have you ever wondered how many people it would take to lift rocks weighing so many tons? Certainly more than could crowd around that stone, even if they used long poles with which to carry the massive rocks. I know that people will believe whatever they want to and you are certainly welcome to your set of beliefs. Supporting alternative theories is a great service to mankind keep up the good work Ike Fehr. SO WHAT REFUTE THE NEW WORLD ORDER WHO ELSE GOT RECKONED JUST WAIT DONT BE IN DENIAL THIS IS GOING TO COST THE EARTH FOR HEAVENS SAKE CHANGE THE PLANS WHERE HAVE ALL THE FLOWERS GONE. J.A. Thank you for your affirmation. Words like this are encouraging. You also left a note on Dec. 15, but I must admit, I do not know what you are saying with those words – please explain. o just got the message now ill search for that note also Ikhe Fehr can you tell me the description of extraterrestial and alien what is the opinion through religious terms or may be it is now clarified sorry my spelling must improve as well iam not a computerised clone just a standard humanbeing like the work here. System report in this domain if too much gets manufactured a problem occurs like where is the representives like space travel you can dream but making is a different story speculation abounds and the truth is elusive lazy human syndrome when the supreme desires the angels serve when the angels serve time is a memory of devine adventures why be in denial when the treasure of justice is given make sense this planet once more is to be restored to pristine condition go figure that out and then you will be on the way somewhere in space.